I feel somewhat bad that my first review of the Bruichladdich line was a bad review. But hey, it was what it was and looking at the big picture, I had to post an uncomplimentary post at some point or another. I suppose, however, what I should have done is review the ‘laddie 18yr expression first as, after all, the 18yr was the very first ‘laddich I’ve every had and it made me come back for more. Also, I received this bottle as a gift (free scotch! who could ask for anything more??). Happy birthday to me! Bruichladdich (a distillery from the Islay region of Scotland) is known for having a *very* expansive line of whisky expressions. They do a lot with special wood finishes and currently have the peatiest malt on the market today (The Octomore); they have both unpeated & lightly peated malts as well. 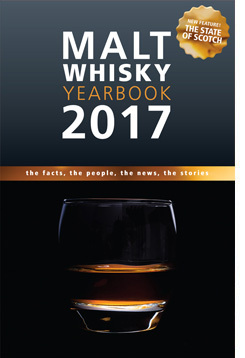 The 18yr has little if any traces of peat, this is a sweeter one as you’ll soon read. This beauty was matured in ex-bourbons casks then transferred to Pinot casks for finishing. Pinot is known to be a very soft, silky tasting wine, almost buttery (at least the ones I’ve had). I knew the make up of the scotch before I opened the bottle and was really looking forward to tasting! Initial whiffs – Fresh fruits (think nectarine and maybe… pear?? ), vanilla with perhaps some cinnamon, some oak comes through, and a tad bit of citrus. 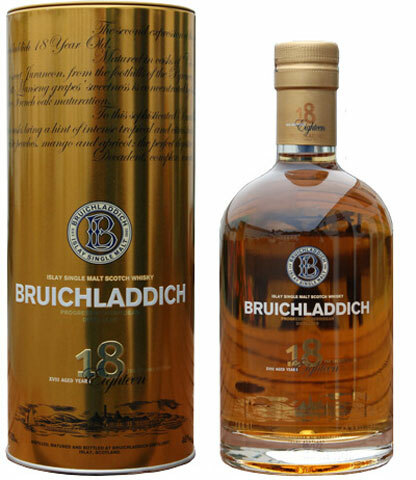 This is what Bruichladdich is known for – even with their peaty expressions, the fruit really comes through and shines. Finish — Long and fruity, some nuttiness comes back in the end – oh, a something sort of earthy now too, grassy almost?